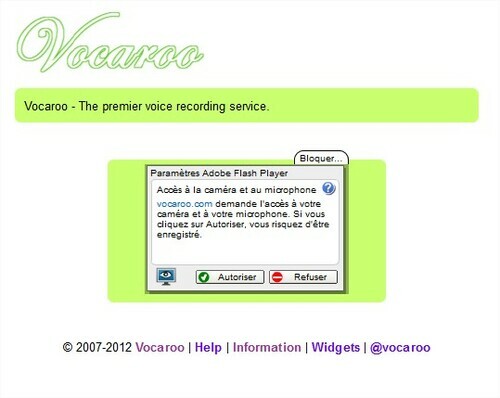 Vocaroo: record and send your voice easily - Mind the blog! Vocaroo is a very useful tool that enables you to record your voice with your computer. 1. 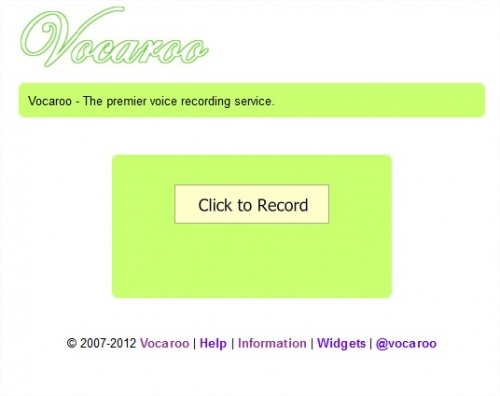 Click on the button to record your voice thanks to your microphone or webcam. 2. Let the program use your microphone. 3. 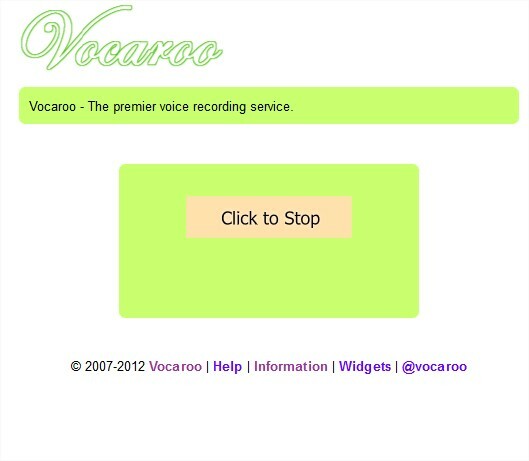 When you're done, click to stop. 4. 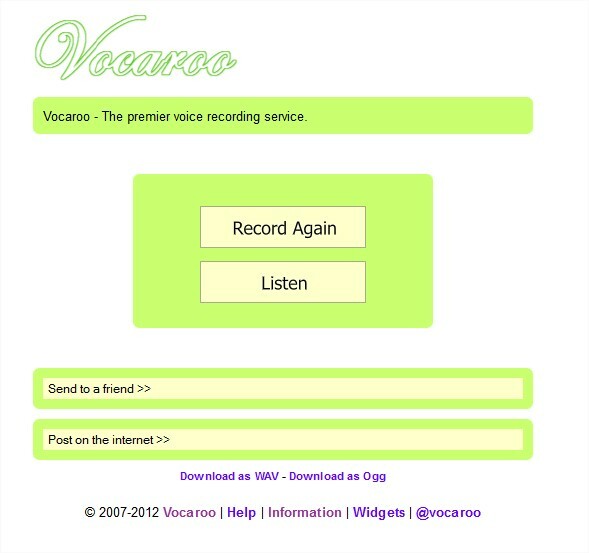 You can record again, listen to your recording, send it to a friend, post it on the internet or even download it as WAV or Ogg.